It can be argued that fire is the most significant discovery of human existence. Not only did it give us the means to keep us warm and cook but it also gave us the ability to stave off the dark (as well as the nasty predators that come with it). Today, we’re far removed from our past of using crude kindling as a light source. In over a century of their existence, torches and flashlights have improved drastically in terms of life span, toughness, portability, and brightness. You can find the Brightest Flashlight List here to help you find the best torch to suit your needs. In the early 2000s, cell phone manufacturers discovered they could harness the light of the rear cell phone camera flash and use it as a torch. Phones without rear cameras would use the phone’s front screen light as a makeshift flashlight. Although today’s smartphones offer an all in one Swiss-army knife-like solution, we still recommend that every household should have a flashlight. It also seems that more and more Android phones offer built-in torch solutions. Unfortunately, these are not as customizable as many of us would like them to be. That’s why we’ve decided to compile a list of the best torch apps on Android. Super-Bright LED Flashlight by super means is, as the name suggests, a flashlight application for Android. What sets it apart from most flashlight applications are its extra features. It allows you to turn both your phone screen and rear camera into torches. You can actually adjust the brightness of your front screen flashlight. It also gives you a bright five colour display that allows you to choose what colour light you want your first screen torch to radiate. The application also comes with a digital compass. The app is also themeable and customizable. It gives you plenty of themes and background colours to help you customise your user interface experience. It has mostly positive reviews from the Google app store. We highly recommend this application. Don’t you love applications with self-explanatory titles? 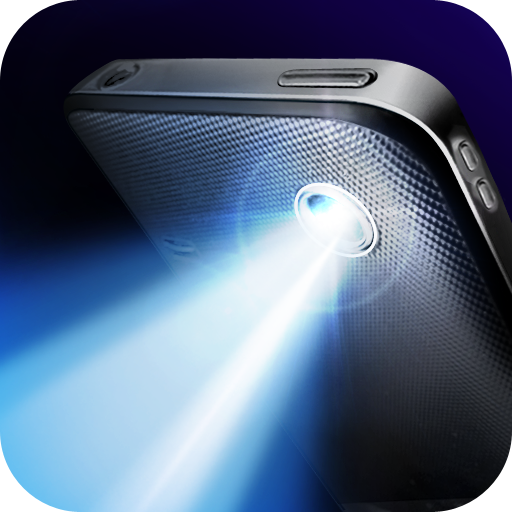 No pretentions here, Flashlight is an Android application developed by Splend Apps. It gives you a choice to use your front screen, or your built-in camera LED flash as a flashlight. It also gives you status bar buttons which are available in the notification area. The application comes with a widget which provides you with easy access to the applications core functions. Flashlight's user interface is simple, intuitive and generally easy to navigate and use. You can also customise the applications key behaviours in its settings menu. It’s one of the most famous torch applications in the Google App Store and one of the most highly rated. If you’re looking for a free alternative to your built-in torch, we recommend Tiny Flashlight developed by Nikolay Ananiev. It uses your camera’s flash and comes with several screen modes. You can download plugins that facilitate functionality like strobing, Morse code, warning, and blinking lights. 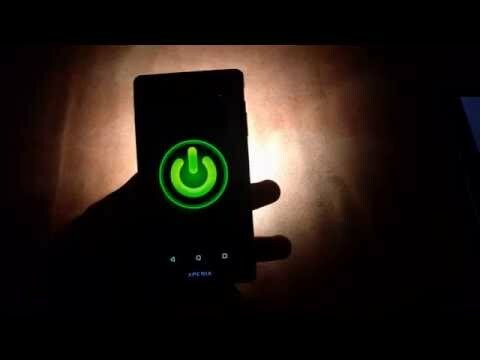 In addition to being one of the brightest flashlight apps with a bunch of options, it can also be accessed from the lock screen. It’s completely free with no ads. 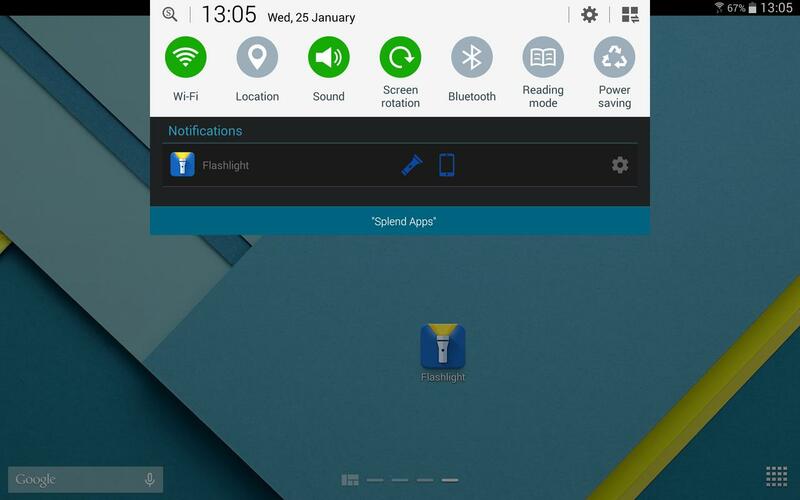 On the fourth entry of our list belongs to another application named Flashlight. This one is developed by Lighthouse, Inc. What makes this application particularly unique is its very clean and accessible user interface. It has a colour screen option, and it also utilises your camera’s LED flash to produce a bright source of light. It has a built-in strobe that can be used for Morse code in case of an emergency. It also comes with a compass and a map to help you get your bearings when you are lost in the dark. Like many of the apps on this list, Flashlight is popular and highly rated in the Google app store. It’s a worthy alternative to your phone’s built-in torch application especially if you’re an outdoorsman looking for an application to help you on your next camping or hiking trip. Last but definitely not least on our list comes High-Powered Flashlight, an application developed by iHandy Ltd, a software development company known for creating well-rated productivity apps. The high-powered flashlight is no exception. It has a well-organized but straightforward user interface. Its interface uses a material design that makes you feel like you’re actually using a piece of hardware. The application uses your phones LED camera flash to produce a super bright torch light. It also comes with a compass. If you should ever find yourself in an emergency, it comes with a built-in SOS flash as well as a strobe mode with ten different frequencies. Although it sits at the last spot on our list, we highly recommend this as an alternative to any other torch or flashlight application. It’s well worth the download. This was an extremely tough list to compile. There are so many great flashlight applications built for Android. Selecting the best ones was not about looking at which ones are popular or have the highest rating. It was about design as well as the features they came with. I hope you’ve found this list to be illuminating. As always, thank you for reading.